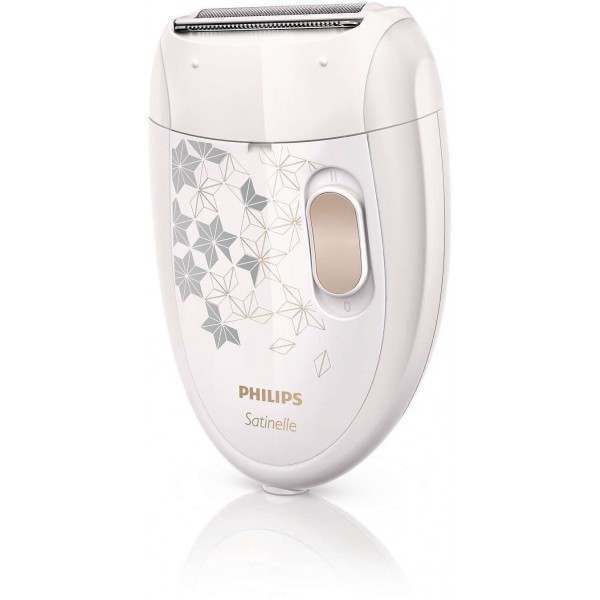 The Philips Satinelle epilator offers long-lasting smoothness like no other, leaving you with hair-free skin for up to four weeks. 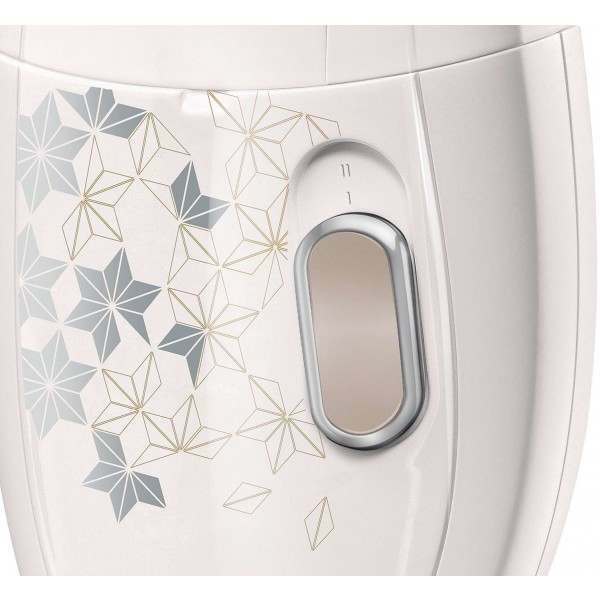 Gentle tweezing discs provide extra comfort as you epilate. Includes 3 accessories and a small cleaning brush. 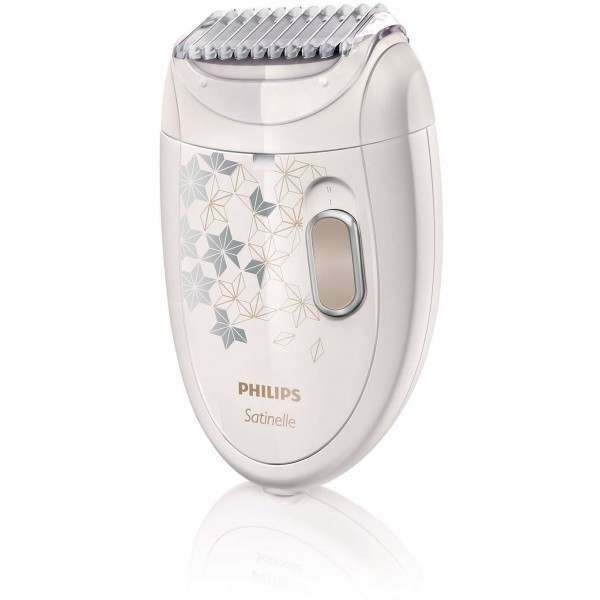 Enjoy long-lasting smoothness with Philips Satinelle epilator. 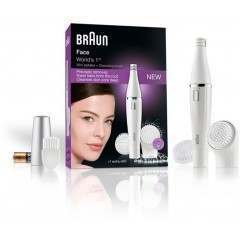 Gently removes hairs, as short as 0.5 mm, from the root. 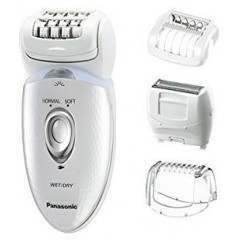 For hair-free skin up to four weeks. Includes 3 accessories and a small cleaning brush. 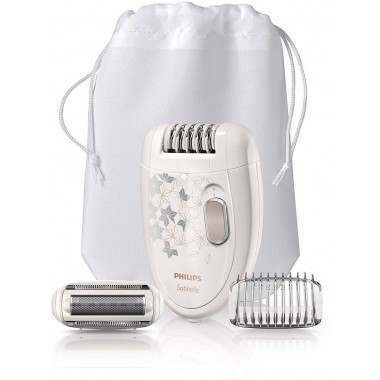 Shaving head for a smooth shave in sensitive areas - Shaving head follows the contours of your bikini line and underarms for a closer shave. Trimming comb to style the bikini area - Use the trimming comb on the shaving head to cut longer hairs before epilating or to trim your bikini area. Convenient pouch for easy storage - Small pouch for easy storage. 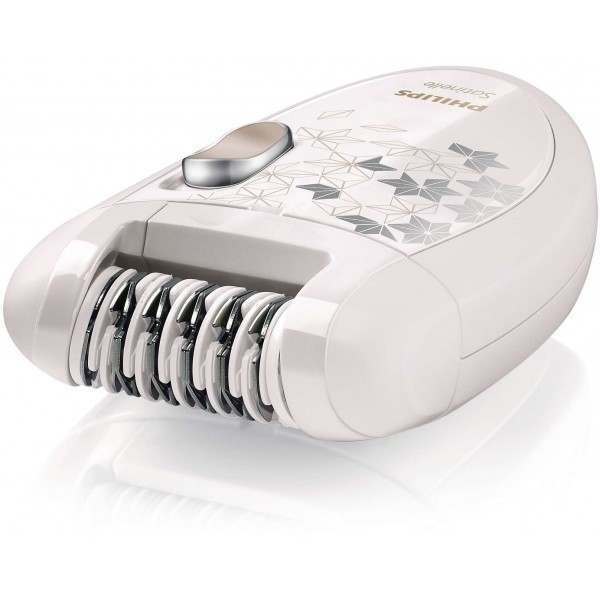 Gentle tweezing discs remove hairs without pulling the skin - This epilator has gentle tweezing discs to remove hairs as short as 0.5 mm without pulling the skin. 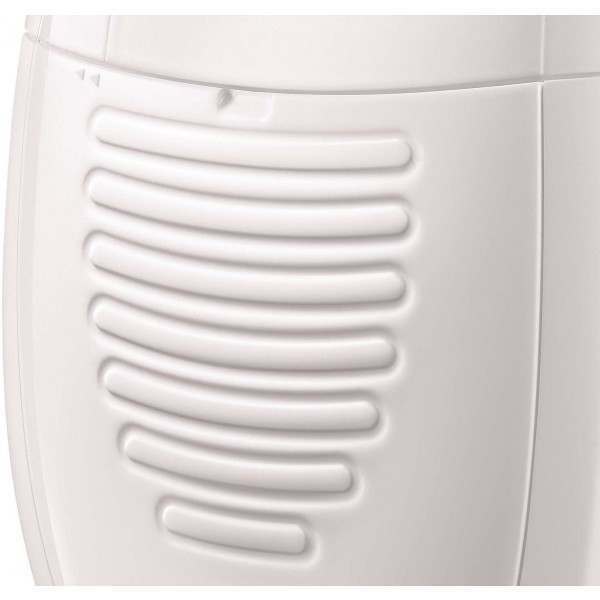 Remove hairs as short as 0.5 mm - Unique epilation discs remove hairs as short as 0.5 mm. 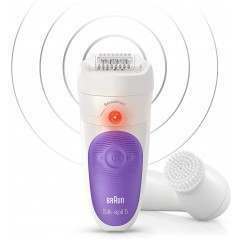 Cleaning brush to remove loose hairs from epilator discs - Small cleaning brush to remove loose hairs from the epilator discs.